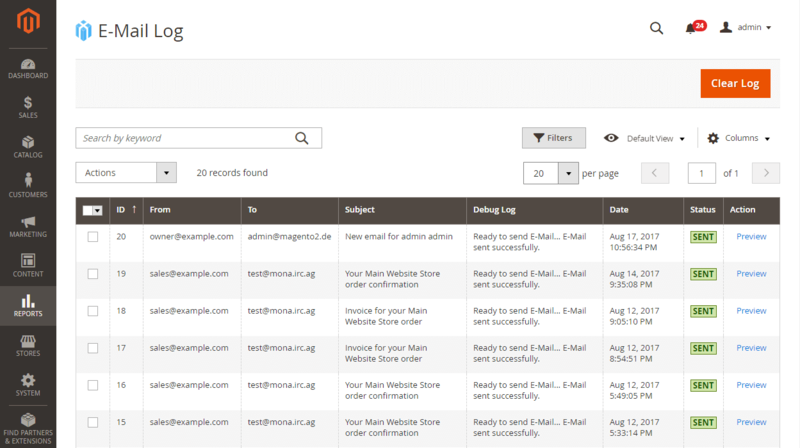 Take full control over email sending settings in Magento 2! 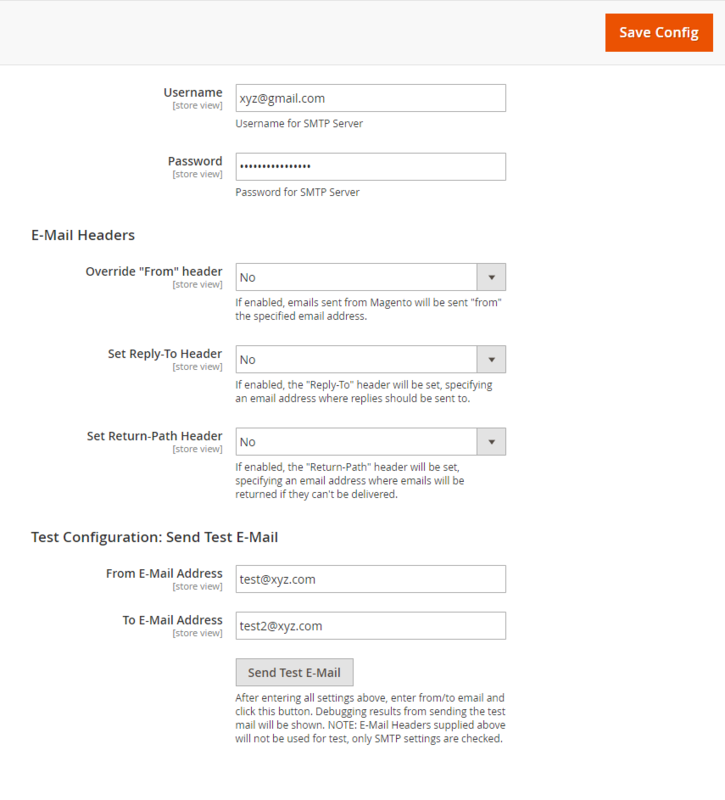 Easily configure your SMTP settings in Magento 2, including ready-to-use settings for more than 27 providers, as well as the ability to debug email delivery issues and make sure emails are sent properly using the extensions built-in email log. Out of the box Magento 2 lacks the ability to specify custom SMTP settings for outgoing emails. Using this extension you will be able to connect your Magento store to your preferred email provider securely and easily, guided by an intuitive user-interface as well as using the extensions built-in testing functionality that checks whether all settings are correct and that sends a test email to yourself. Make sure emails are sent properly, improve email delivery rates and decrease the possibility to get flagged as spam - this is a must-have extension for every Magento 2 store! E-Mail Log: If enabled in configuration, all emails are logged, as well as whether email was sent successfully or not. E-Mail Log: View email body, date/time, etc. Configuration section part 2: Additional settings, as well as testing section. E-Mail Debug / Test functionality: Detailed error message is shown if test email could not be sent. 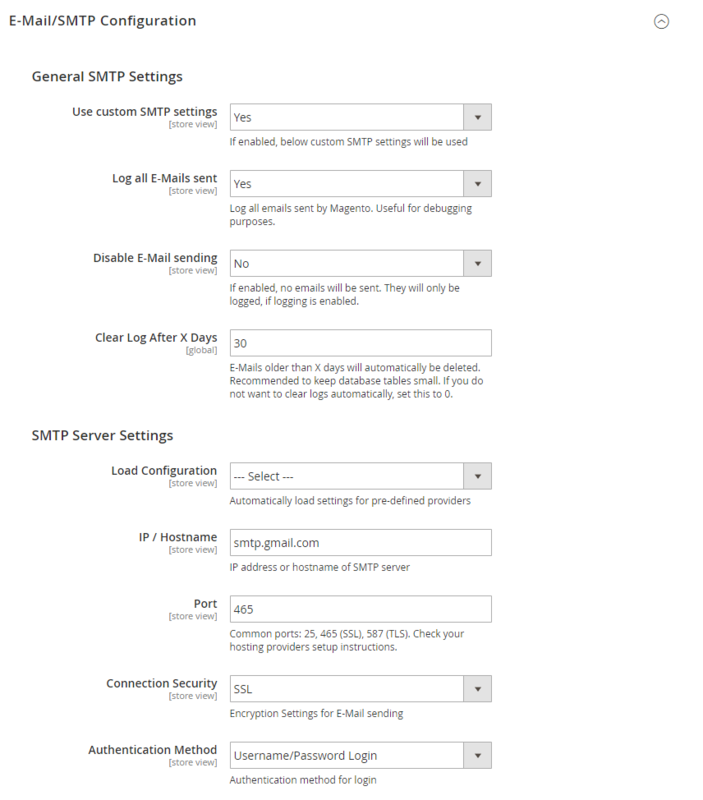 Setting up SMTP settings in Magento 2 has never been easier. Just select one of the predefined providers, enter your username and password, and start sending emails. Easily debug email delivery problems using the extensions built-in email log. Keep a log of all emails sent from your store to later on look them up or diagnose problems. E-Mail log can be wiped automatically after X days, if required. Operating stores in different countries? 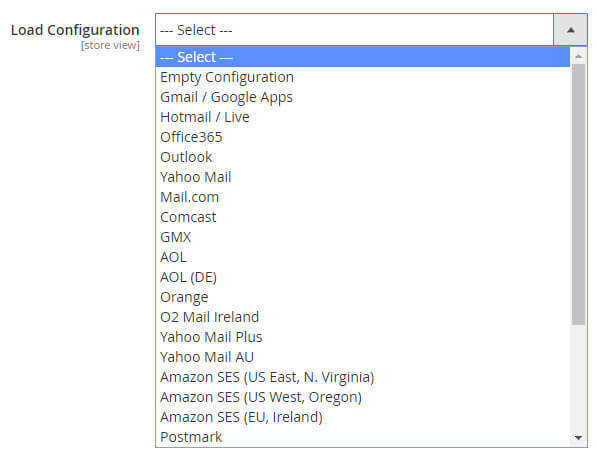 Set up different SMTP settings for each of your stores easily. 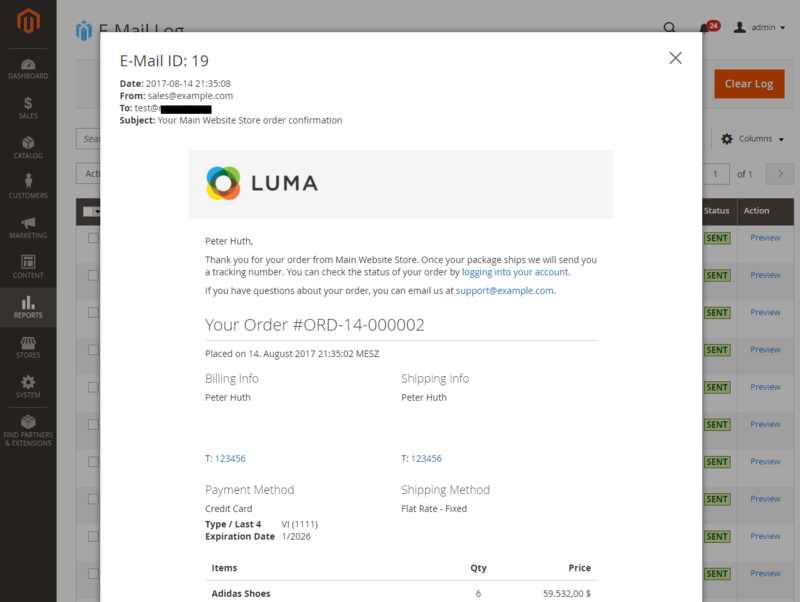 Verify that email sending works and that emails are delivered. Send test emails to yourself. The extension is fully compatible with all recent Magento versions, including Magento 2.3, and supports recent Zend Framework changes introduced in Magento 2.3. 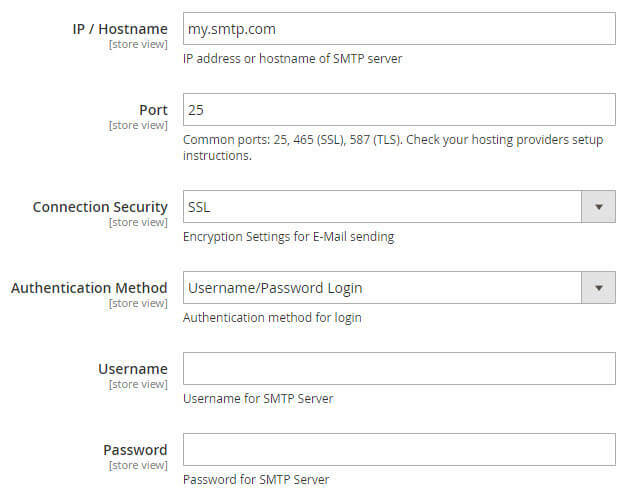 Contact us if you need help figuring out the SMTP settings for your provider - almost any SMTP server can be connected! I was using a similar free version that simply did not cut it. The SMTP extension from Xtento delivers and the team provide great support with fast response time and quality throughout. Thanks! This extension is available for Magento 2 and both Community Edition (Open Source) as well as Enterprise Edition (and Cloud & Commerce) are compatible. The extension is multi-store compatible and supports Magento instances with multiple websites/stores/store views. All XTENTO extensions are guaranteed not to conflict with each other.